If you are going to spend more than $4,000 on a Quarterback, don’t try and be fancy – you need to get Big Ben. Not only will you not have the infamous Ben on-the-road headache, you get an all but guaranteed shootout with the Chiefs. Pittsburgh and Kansas City are about as close as any two teams in the league get to being mirror images of one another. Both teams are terrifying on offense, and awful on defense. I’d take the over on this one. This game is going to include lots of throwing, and Big Ben is the much more reliable option, and with better weapons. 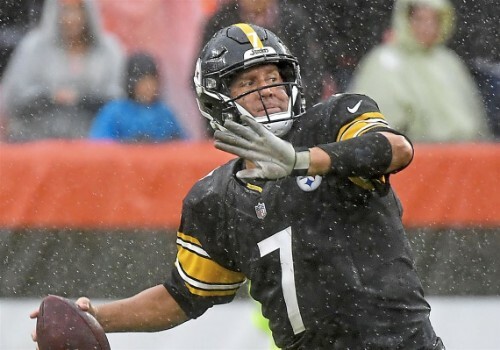 Ben costs $6,900 whilst Mahomes is $6,100 – if you’re strapped for cash you could take the risk on the younger option, but Roethlisberger is a safer pick, whilst maintaining higher upside too; with a very reasonable chance of being QB1 this week. This is a nice bonus option, I’ve already made it pretty clear that in my opinion the picks this week at QB are either Big Ben or Pat Mahomes. But if you want to go with a really safe floor, and go for upside elsewhere, look no further than Alex Smith. For only $6,000 you can rely on a rushing floor of 2-4 points, and the very reasonable expectation of throwing multiple TD’s. Against the sub-par Colts Defense I can see him having a very good day, with a significantly higher floor than the unpredictable Chiefs signal-caller. This is one of my favourite picks this week, because it’s risky, but the rewards are huge. It is incredibly rare to pick a running back who isn’t at the top of the depth chart in the DFS format, for obvious reasons. 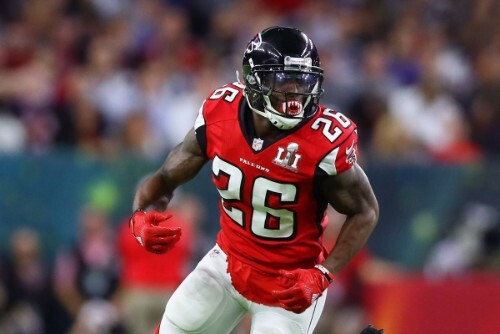 However, this week offers a very interesting option in Tevin Coleman, at a price of $5,300. Usually I would be scared to invest 10% of my whole budget into the Falcons’ RB2, but this week it is possible that Devonta Freeman won’t play or will at least be limited. If Freeman doesn’t start, Tevin Coleman will be a top-10 running back, almost certainly – and for just $5,300. If Freeman starts you could still rely on a decent floor, but the situational upside is massive. You need balls for this one. 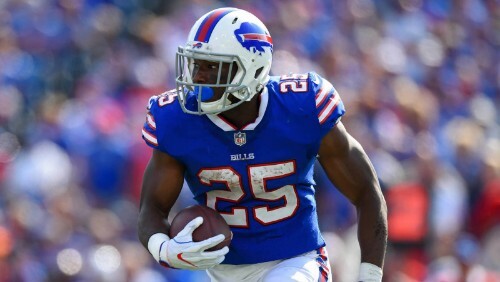 Shady McCoy’s off-field question marks aren’t the biggest problem right now, surprisingly. The big issue last week was the surprisingly low volume he received. If there is one player in the NFL who is viewed the way they are in fantasy because of volume more than anyone else, it’s McCoy. You can expect over 300 rushing attempts and 75 targets every season, usually – but in week 1 he only attempted 7 runs, and got 1 reception. Do to the questionable usage, his price is only $5,700 this week, which is about as low a price as you will ever see on Shady. If this week he returns to a usual workload, he will score double the amount of fantasy points that anyone else in that price range does. Yes, I know… “Doesn’t it seem obvious you should play AB every week?” In a normal fantasy league, you’re absolutely right – but in DraftKings you need to pick your weeks. You can’t splash out $8,800 on a WR every weekend. Brown has the highest price on his head of any receiver, and is number 2 on the entire format (if you don’t include Bell, who almost definitely isn’t playing), and so you need to use him on weeks where you can all-but guarantee he’s worth the extra money. 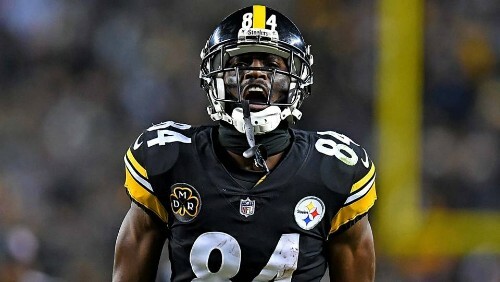 Last week I told you to opt for Keenan Allen instead (you’re welcome) and you can definitely start him this week as well – but this is one of the best games all season to go with Antonio Brown. 1, Le’V Bell isn’t back yet. 2, Ben is at home. 3, they’re against a bad defense which has no elite cornerbacks anymore. This week is as good a week as you’ll get all year to play Brown. If you don’t want to splash out on Brown you could take the cheaper option of JuJu Smith-Schuster, but you can’t expect the same output. This is one of the picks that you absolutely have to consider, on every single lineup you set this weekend. Chris Godwin is an incredibly talented, athletic wide receiver, and you could easily flex him in your fantasy team on any given week. In DFS it’s quite difficult usually to back WR3’s, but this week Chris Godwin may not be one of those. 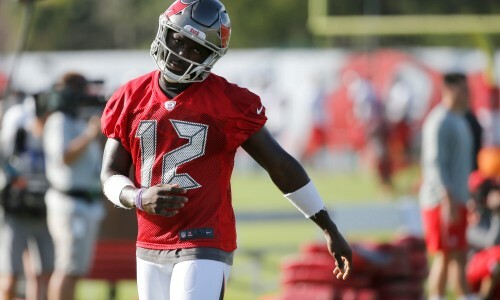 I personally think that Godwin is as talented as Mike Evans, and he will be focused on much less by the defense than Evans is – which is a good start. But, when you realise that DeSean Jackson is unlikely to play this week, Godwin starts to look even better; especially at only $4,600. Oh, and one last thing, Ryan Fitzmagic. 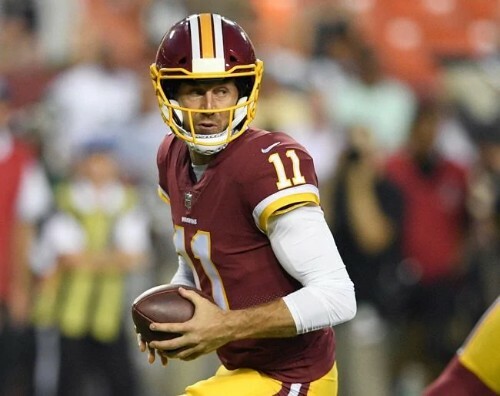 Not only did he look great week 1, he loves throwing to wide receivers – you need to make the most of Godwin before Winston comes back and starts throwing to Tight Ends and defensive backs instead. If you watched the Jets last weekend you will be way ahead of me here. Enunwa looked awesome, and more importantly, his QB looked great too. 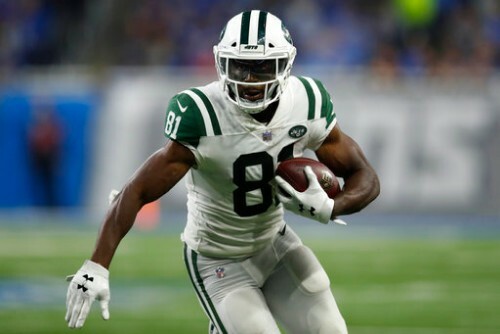 Sam Darnold has already demonstrated his love for the athletic wideout, and so I expect the targets to keep coming thick and fast – which makes him a very reliable option in PPR scoring (which is used in Draft Kings). Enunwa only costs $4,700, so he is a nice cheap pickup if you want a reliable floor with the potential of a Touchdown. Godwin is more of an upside play, but Enunwa should get at least 7 receptions per game for the season, with Darnold at the helm. 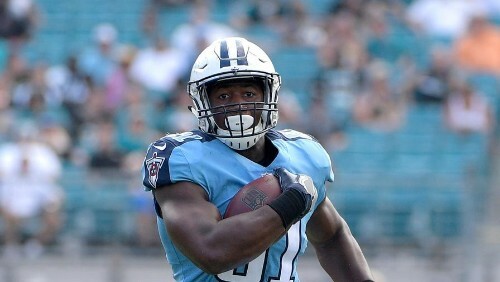 The Titans veteran Tight End, Delanie Walker, is out for the season, and that is a huge blow for the offense, but in fantasy we don’t dwell on the past, we predict the future, and I predict that Jonnu Smith is going to have a very very good season, as long as Marcus Mariota is at Quarterback. Smith is a talented player, who can be brought in for just $3,100 this week on DraftKings, which is phenomenal value. He will be getting a lot of time on the field, and if Mariota is throwing the ball, the Tight End always gets some love. Jonnu has a good matchup this week against the Texans in my opinion, as their strength is their D-Line and Tyrann Mathieu, when the D Line puts the pressure on, the ball needs to be thrown quickly to shorter routes, and when there is an all-pro Safety, the ball needs to be thrown to shorter routes – Jonnu Smith is going to be a beast this year, and I want to start buying into him before that price goes up. After last week’s shock, the Saints now travel to another team which is out to surprise people, and they’re going to want to send a message. 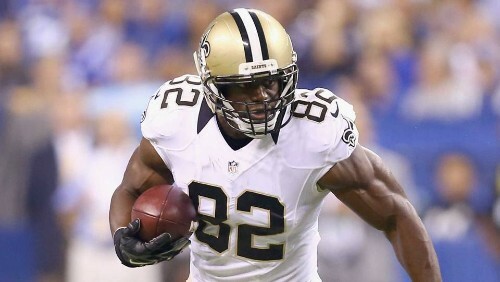 If you’re not splashing out on Alvin Kamara, Michael Thomas or Drew Brees, Ben Watson could be a great option for just $3,400. Last week Watson caught 4/4 of his targets and went for 44 yards. This kind of reliability is great, because all it takes is one target in the endzone and you’ve doubled his points for the week. I expect to see Watson bring one in soon, and if there’s going to be a week all season where they face a team who aren’t good against the TE position, it’s this Sunday against Cleveland. Yeah, I know, I’m probably going to get in trouble for cyber bullying soon, but not until I’ve doubled my money on DraftKings. I am once again taking a defense who are matched up with the Bills. Yes, Nathan Peterman has finally been put down, but he is being replaced by a rookie who has never seen anything like this Chargers D before. It’s Josh Allen’s first NFL start, and I am going to dig deep and find $3,600 to cough up on the Los Angeles Chargers. 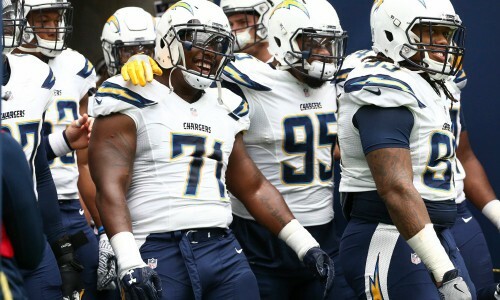 Once the Chargers have gone 14-0 up, Allen will start slinging it, and I am backing Derwin James and co to bring in a couple of picks, and they might even score.